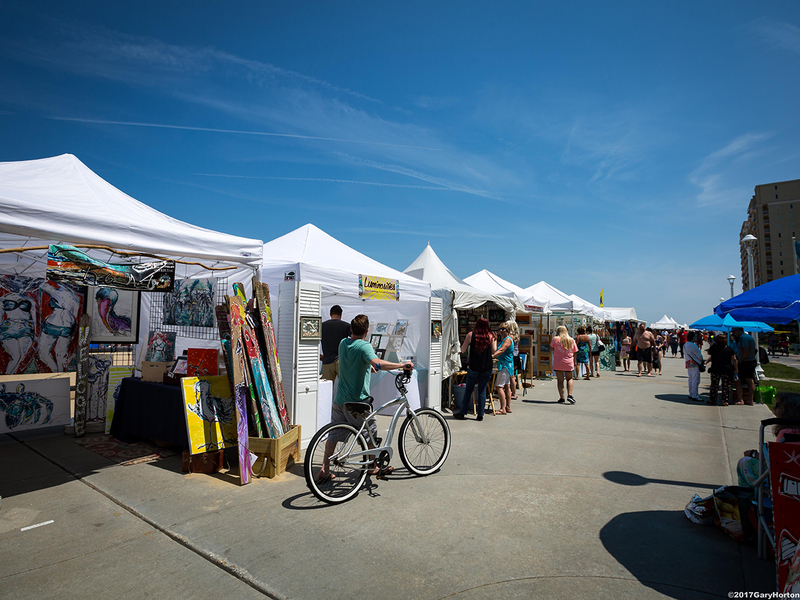 The 2019 Annual Virginia Beach Surf Art Expo! Local artist Rick Ricketts was awarded the poster art for this year’s VB Surf Art Expo. Take a look at the beautiful artwork that Rick has created for us this year! Limited Edition posters signed by the artist will be for sale on-site at the VB Surf Art Expo this year! Be sure to pick yours up while visiting our art show! 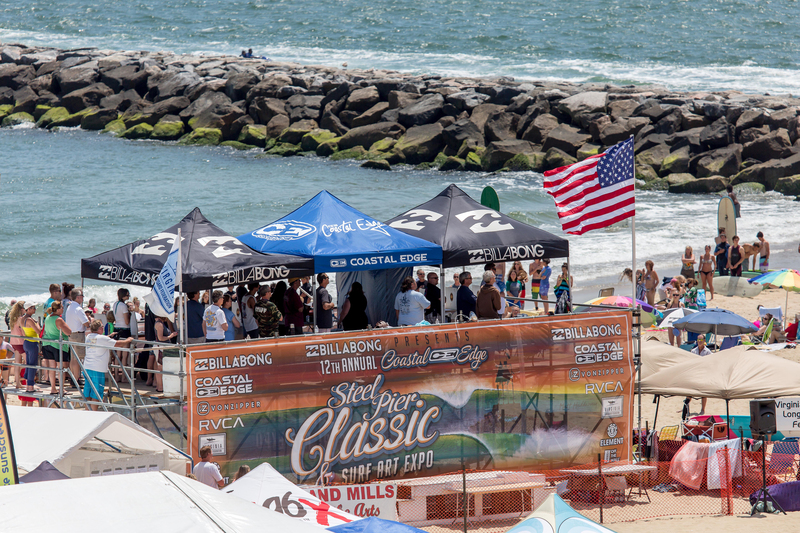 The Steel Pier Classic & Surf Art Expo is a surfing competition in conjunction with a surf art show. We get together every Memorial Day Holiday Weekend, the last weekend in May for three glorious days of surfing and surf art on this major holiday that thousands of people enjoy and celebrate the start of summer in Virginia Beach, VA. Virginia Beach is the largest resort city on the east coast, and is a popular tourist destination on Memorial Day Weekend, which means the weekend generates great crowds for surfing spectators and art sales. The surf spot is affectionately known as The Jetty, and is the best surfing destination in Virginia Beach. 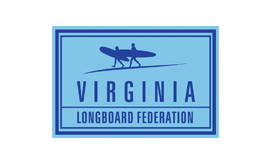 Since 2004, the Virginia Longboard Association, an all volunteer organization, has produced the Steel Pier Classic, a professional and amateur surf contest with over 400 competitors. 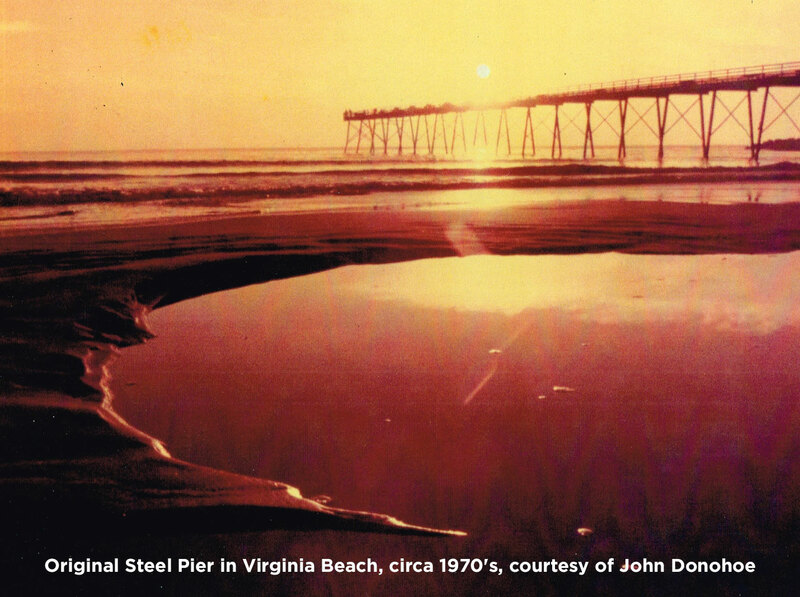 The name of the contest is derived from the Virginia Beach Steel Pier, which was located at the Va. Beach Oceanfront at First Street, circa the 1960’s. 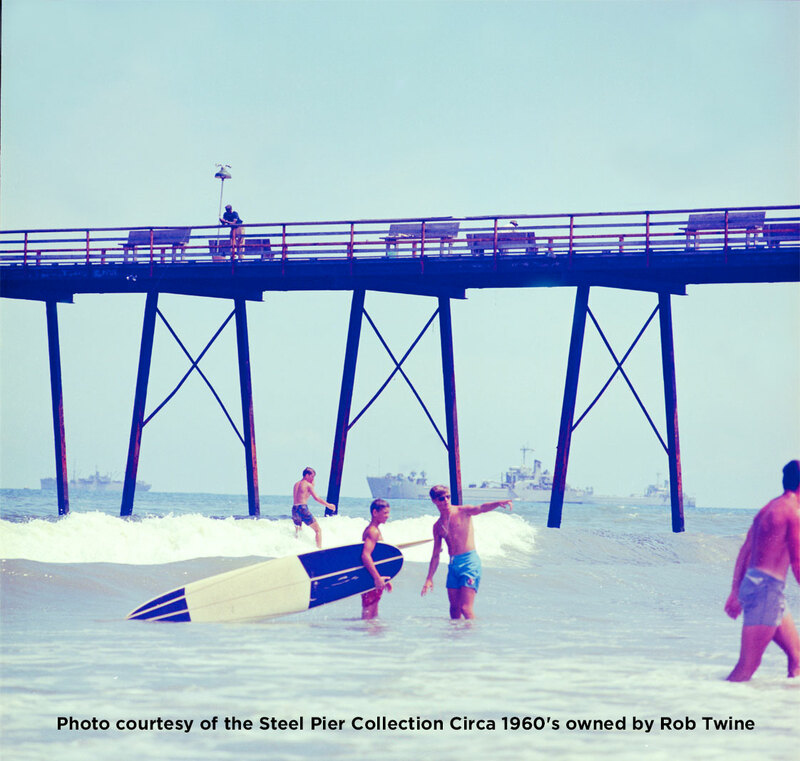 Historical references indicate that the roots of East Coast surfing were born at our very own Steel Pier. This was the surfing hot spot of the early 1960’s, where many learned to surf here, watching the “cool guys” who were the best surfers at the time. The Steel Pier was torn down in the 1970’s due to damage from the 1962 Ash Wednesday Storm. The pier eventually was beyond repair. 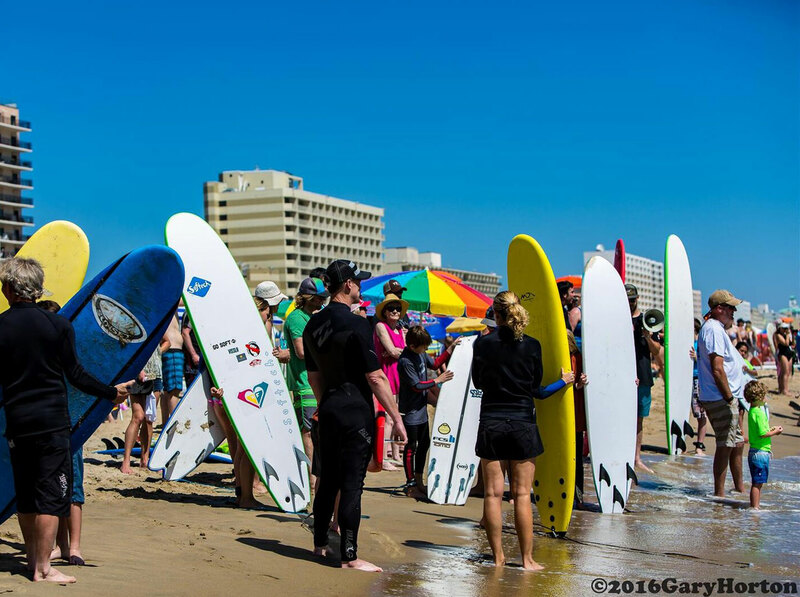 To this day it is still the gathering spot for surfers at the Virginia Beach Oceanfront. 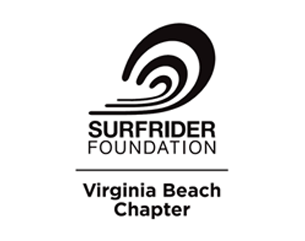 For this reason the Virginia Longboard Federation pays homage to this beloved surf spot with the annual surfing contest. 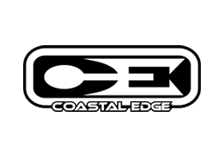 It is the largest longboard surfing event on the East Coast. However, it is not only longboarding; it is comprised of a variety of events—nose riding, retro surfboarding, tandem, shortboarding, stand up paddleboard (SUP), and Pro/Am surfing divisions. 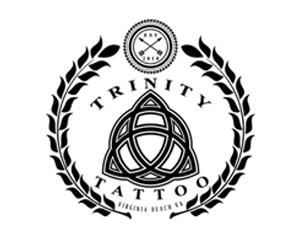 All of the events encompass the soul of surfing and the heart of the Virginia Beach surfing community. It allows different generations of surfers to come together. 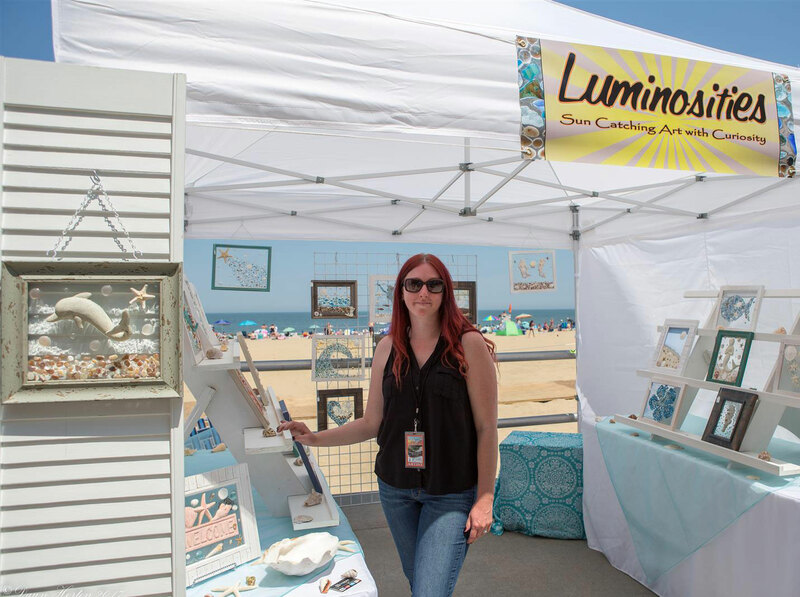 Jodie Woodward, a longtime local resident of Virginia Beach, event organizer, and sponsorship professional founded the VB Surf Art Expo. She’s was recruited as a sponsorship sales professional for the Steel Pier Classic in 2006. As time went by, she got involved more in the role of a marketing consultant to offer her expertise to help grow the event. 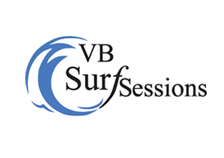 In 2008, Jodie came up with the idea of the VB Surf Art Expo, thinking it would be a nice compliment the surfing competition. This endeavor successfully another dimension the event. 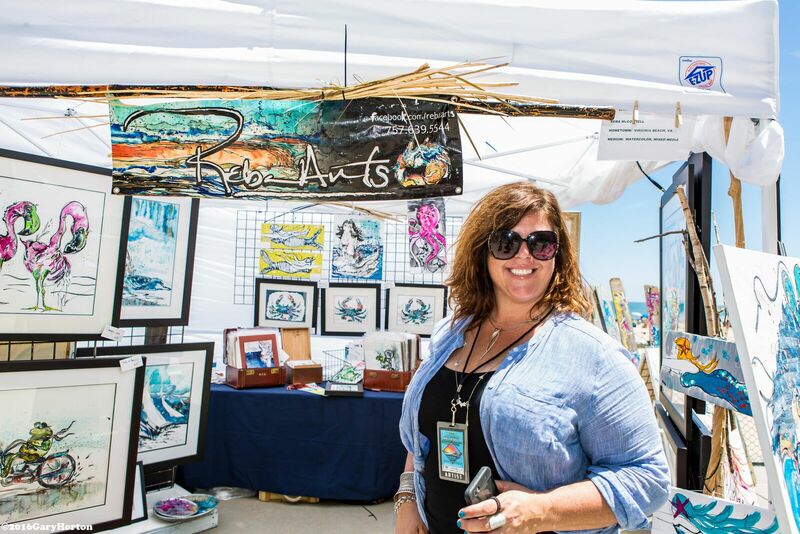 To this day, over 70 professional artists exhibit on the boardwalk in addition to the surfing competition. 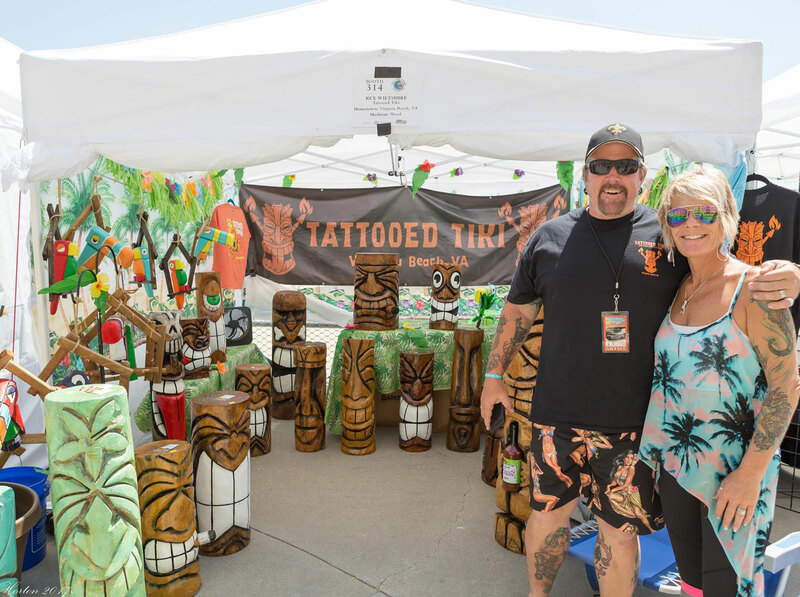 Our purpose is to offer a professional surf art show that compliments the surfing contest – unlike any other art show in the region with the attraction of the surfing culture – a love of Mother Ocean. 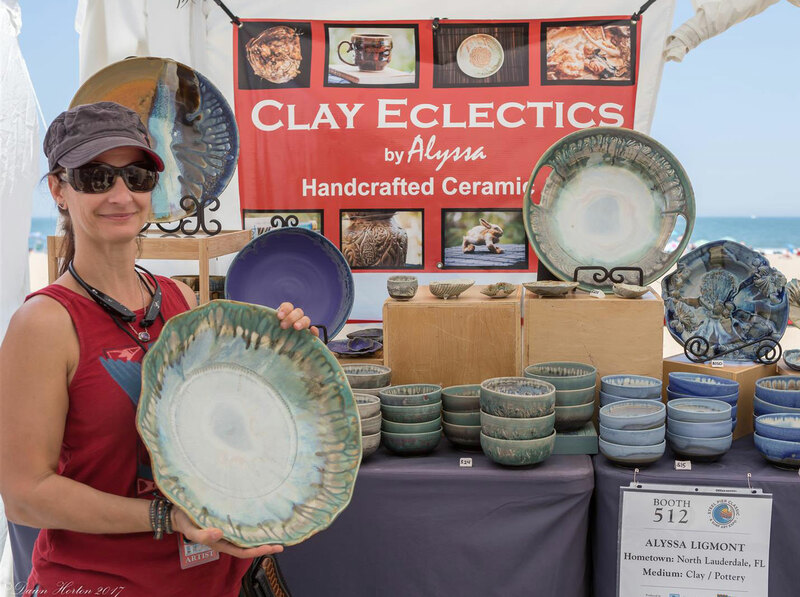 It’s a beautiful show in a relaxed setting that embraces the beach lifestyle.We have returning artists every year who are local favorites, and regional artists from Florida to Maine in addition to Ohio and Pennsylvania. The artwork is all about the ocean, water life, sea life, nautical, and tropical themes from all mediums such as painting, sculpture, photography, jewelry, glass, fiber, mixed media, and wood. For more information on how to apply as an artist, click here. 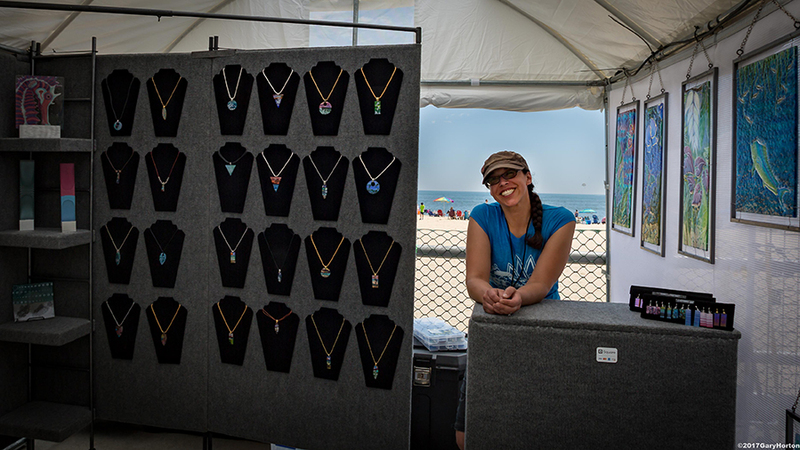 The Steel Pier Classic & Surf Art Expo has evolved over the years as a top surfing event and unique surf art show with great sales for artists who return year after year. Our purpose is to promote the art of surfing through the sport and also as an art form. The culture of surfing and the wonder of the ocean have stimulated surfers and surf artists for many years to be their best at what they do. 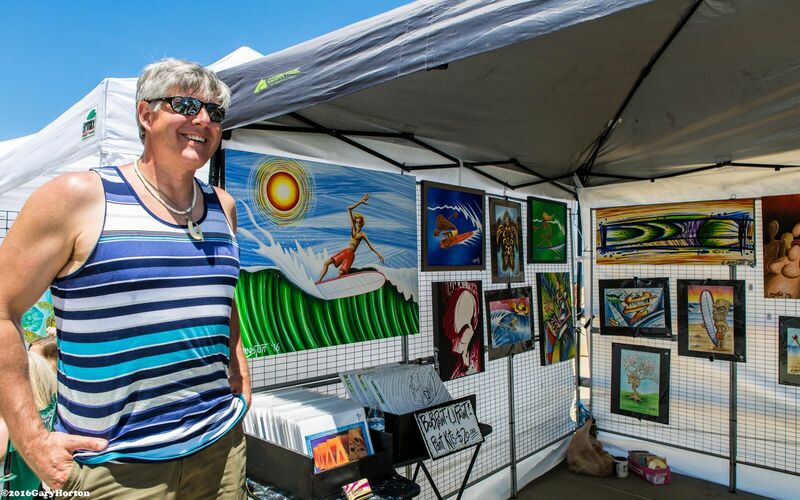 The Steel Pier Classic & Surf Art Expo embraces the art of surfing in every form, whether it’s observing the sport of surfing, or featuring surf artists along the Va. Beach Boardwalk. 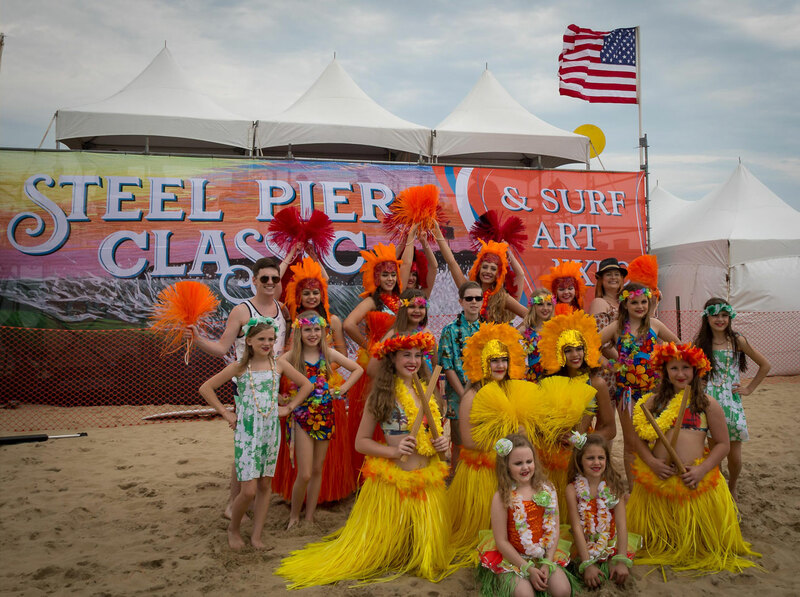 The Steel Pier Classic & Surf Art Expo is the place to be Memorial Day Weekend in Va. Beach! Come join us for some great surf art and wave riding bliss! 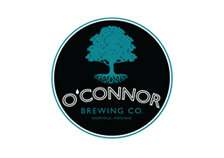 Event FAQS - Find Answers to Your Questions! What are the hours of this event? 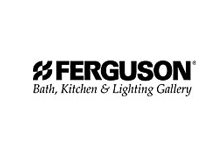 How many artists typically show their work at this show? Are attendees charged an admission? Where is the Surf Art Expo Located? Where is parking? How much does it cost? Always held on Memorial Day Weekend, the last full weekend in May. 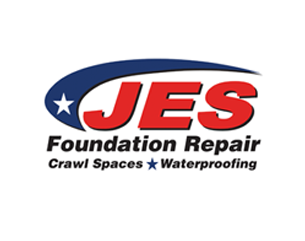 Saturday May 26 & Sunday May 27, 2018 is 10am-6pm.Memorial Day Monday May 28, 2018 is 10am - 5pm. 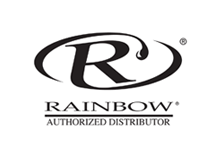 We have been maxed out at 70 artists the last several years. However new for 2018 we were granted an additional block so we expect 80+ artists this year. No, the entire event is free and open to the public. 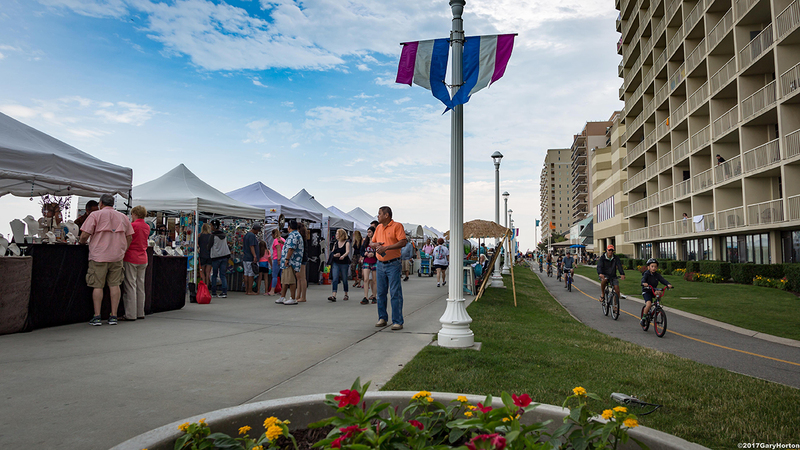 Artists exhibit on the boardwalk on 3rd, 4th, 5th, and new for 2018 we will have artists exhibiting through 6th Street up to the popular restaurant Mahi Mahs on the boardwalk. Greetings from Virginia Beach! 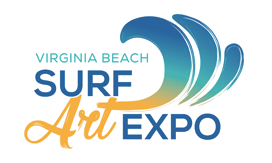 Thank you for your interest in the Virginia Beach Surf Art Expo! This is a very unique event produced by an avid surf art lover! Since 2008, it has been my passion to create an art show that is different from any other. Picture this setting in your mind. You are on the boardwalk at the Virginia Beach Oceanfront. Your back is to the sea and you can feel the cool Atlantic Ocean breeze. Life is pretty good for this 3-day surf art show. 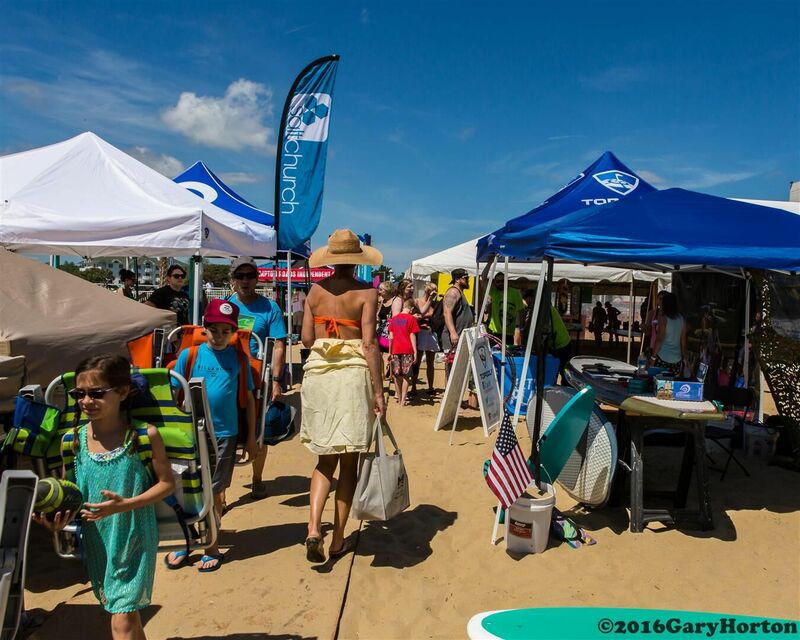 The Virginia Beach Surf Art Expo is produced in conjunction with the Steel Pier Classic surfing event. 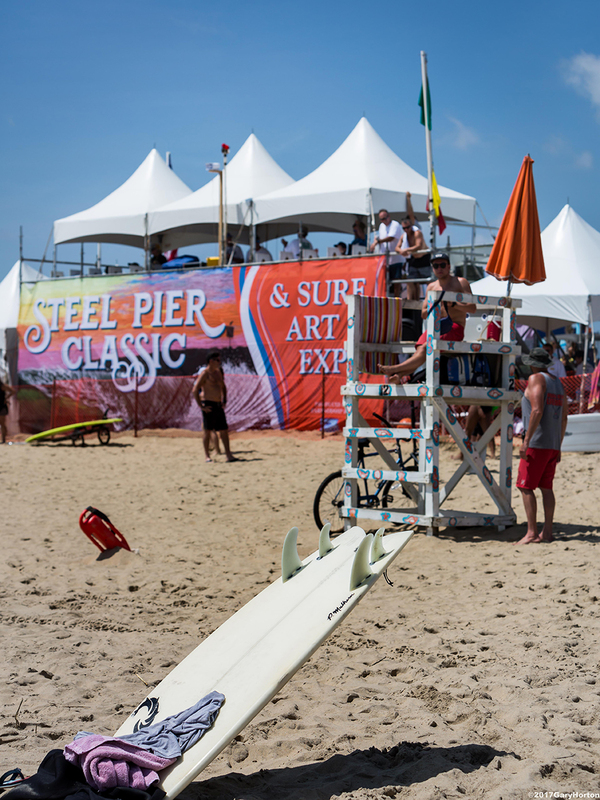 The official name of the event is the Steel Pier Classic & Surf Art Expo. Taking place on the busy Memorial Day Weekend at the largest resort city on the east coast, when the vacation crowds are at its peak celebrating the beginning of summer. The tourists stumble upon us and are pleasantly surprised with the beautiful surf art and become happy buyers. 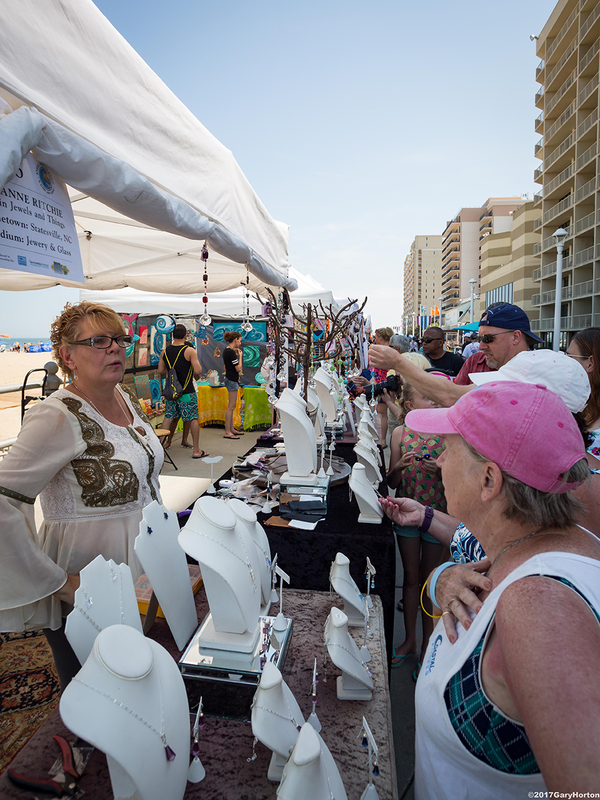 There is also a strong attendance of local Virginia Beach families that live in the surrounding neighborhoods who embrace the beach lifestyle and support this event with annual purchases. They have supported this event from the beginning. Their kids surf in the competition, and they shop! We feel this is a target potential customer for you, as the locals cover their walls and mantels with surf art and tourists want a momentum to take home. And don’t be surprised if a hotel owner stops by and buys your entire collection for the lobby of their hotel! This has actually happened! Numerous artists are delighted with commission work they have received by participating at this show. 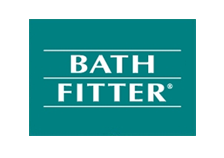 We have high rate of returners each year – so we must be doing something right! If you create any type of art from any medium that has a relationship with surfing, the ocean, sea life, water scenes, shells, coral, dolphins, fish, nautical, etc. please apply. 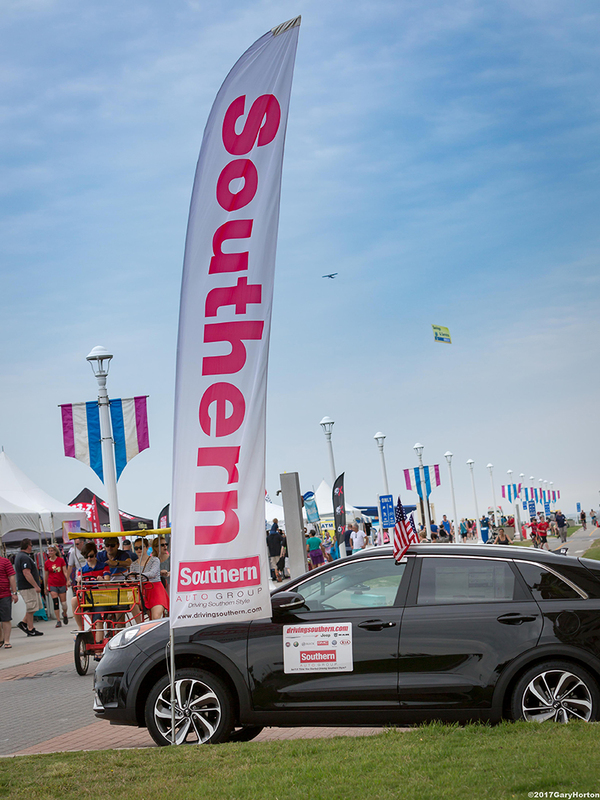 We’re working with the hotels that are walking distance to the event site to make your stay in Va. Beach comfortable, convenient, and affordable. 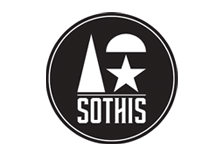 Our goal is to reach out to a broad base of surf artists. I hope that my show will be something special for you every year, and something different from any other art show in Va. Beach. 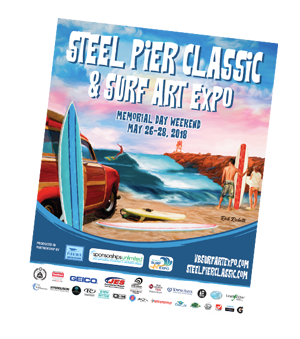 Please spread the word and tell your friends and fellow artists about the Steel Pier Classic & Surf Art Expo in sunny Virginia Beach, VA —- the largest resort city on the East Coast! 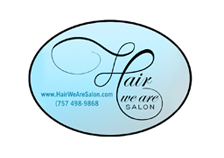 Come join us Memorial Day Weekend at the beach! Download Artist Application and Register Today! Artist Testimonials - People are talking! “The surprising thing for me, were the sales! Most new art shows take a while to build reputations but this one took off right out of the gate as fun, profitable and well managed. And the location, On the Boardwalk with parking only steps away”. 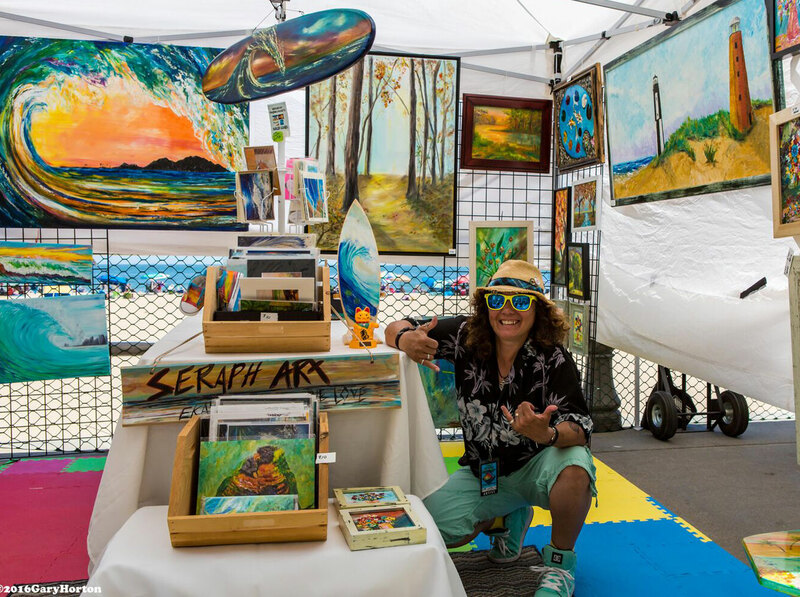 Love the surf expo art show, I do about 20 a year and this one is one of my favorites, it is well organized, set up is easy, the sales are good and has the perfect atmosphere. A very relaxed show! 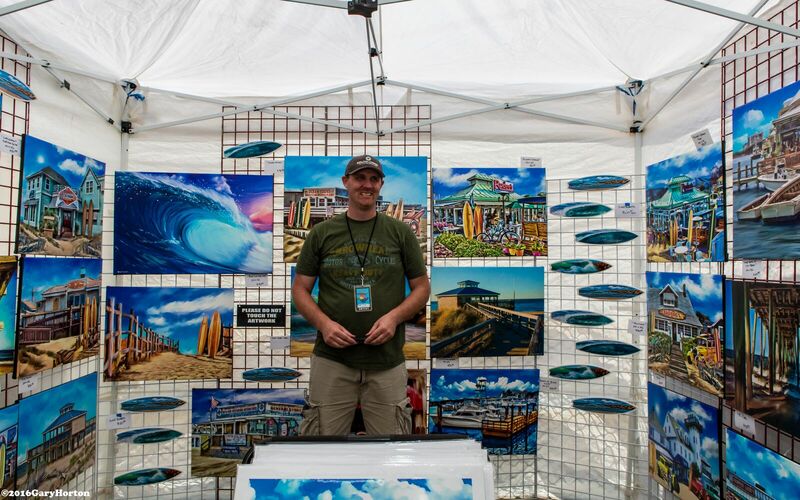 “I’ve shown my surf art at the Virginia Beach Surf Art Expo since 2009, and it’s a blast! Sold some art, made some new friends, took a few breaks and caught some fun surf. Went home sun burned and happy. I’m looking forward to next year! 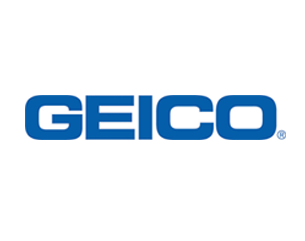 Event Sponsors - Don't forget to check out our wonderful event sponsors! 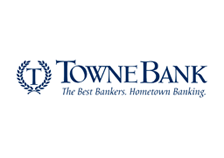 Hotel Information- Local Hotels with Special Rates! 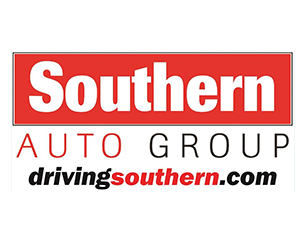 In The News - Check Out the Press that We Are Receiving! The 2017 Steel Pier Classic and Surf Art Expo Announces Local Artist’s work for this year’s commemorative poster. 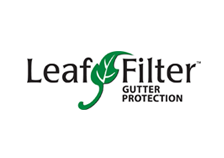 Contact Us - Have Questions? We've got answers! © 2018 Virginia Beach Surf Art Expo and Sponsorships Unlimited, Inc.